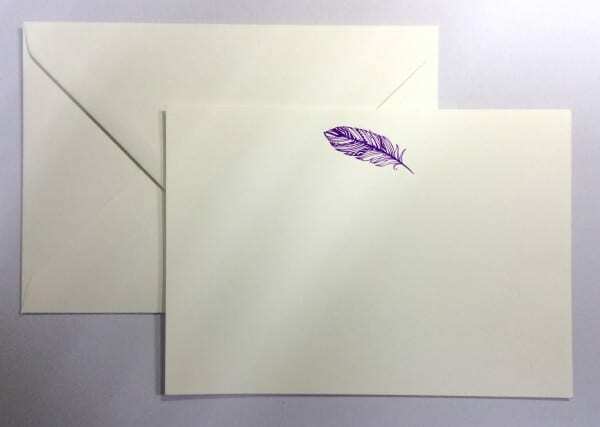 These cards feature an Aztec inspired purple feather which is hand engraved on our 300gsm textured oyster board. Supplied with matching stock plain Leeming Brothers 150gsm envelopes. The pack contains 12 cards with 12 matching envelopes.